NextGen Player - Canada's Premier Entertainment Blog: Hey Canada – You Absolutely, 100%, Need to See Hatsune Miku Live! 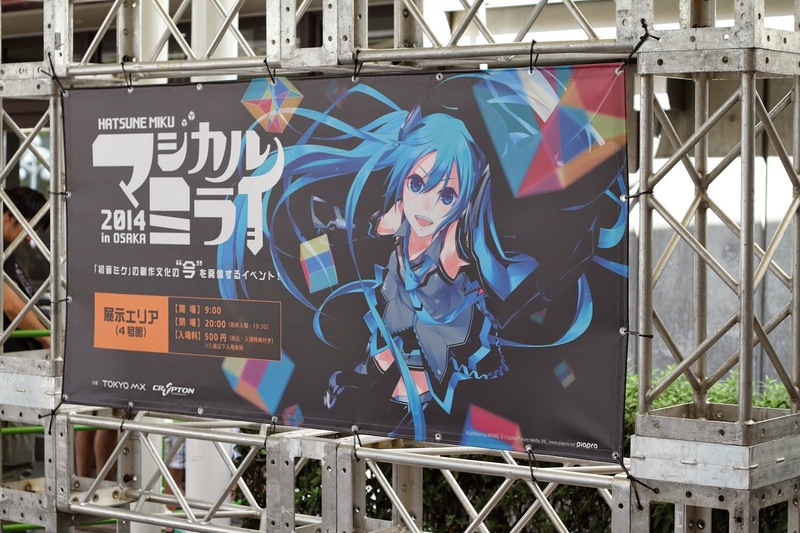 This September, I attended Tokyo Game Show, and by pure coincidence, the Hatsune Miku “Magical Mirai 2014” concert was happening that same weekend. Though I knew it was a longshot, my curiosity led to me contacting Crypton Future Media to let them know I was heading to Tokyo, and while there, I’d really like to report on the live concert to see first-hand what the Hatsune Miku experience is all about. Incredibly, just days before my flight to Japan, I received a media invite. To understand my excitement of attending my first live Hatsune Miku concert, you have to know the she is no ordinary singer. In fact, she’s completely one-of-a-kind. Hatsune Miku is a virtual singer whose vocals are created using singing synthesizing software with a technology called "Vocaloid". 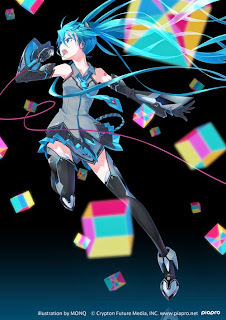 Crypton Future Media developed the software, which allows anyone to type in a melody and lyrics to have Hatsune Miku sing their song. What’s really cool about Hatsune Miku is her software is publicly available for anyone to purchase, and fans have created and shared a huge volume of music tracks and videos online. It’s amazing that any company is willing to so easily hand over so much creative control of their projects to the community at large, but Hatsune Miku was founded on the idea of “peer production”, which embraces the sharing of knowledge and talents in pursuit of creating something new together. The day of the concert I had jitters just knowing I was about to experience something that felt futuristic and completely new. Outside the Tokyo Metropolitan Gymnasium, the location of the concert, was a massive crowd of fans, some showing off their extraordinary cosplay, while others eagerly lined up at the merch tables, and more still lined up at the gate waiting for the doors to open. I asked a few of cosplayers for photos, and all happily obliged, and then it was off to the merch area to pick up a souvenir. There were lots of items for sale, from official “Magical Mirai 2014” concert t-shirts, to music CDs, to keychains, and more. The thing was, about 80% of the goods were sold out, in part because this was the second of two concerts scheduled on that day (the first group clearly bought A LOT of merch!) and I arrived a mere 30 minutes before the show. I did manage to pick up the Magical Mirai 2014 Official Guidebook, as well as Hatsune Miku branded Ramune (a popular Japanese drink) and crunchy rice snacks. The whole atmosphere of the show was incredible, almost surreal at times, with the audience completely absorbed in the music, and Hatsune Miku looking incredibly lifelike as she sang and danced on stage. 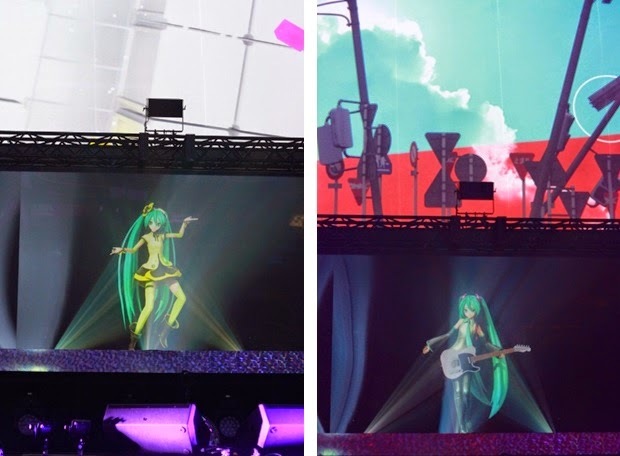 The technology that powers Hatsune Miku was state-of-the-art, with a transparent screen stretching from one end of the stage to the other, giving Miku full freedom of movement, and high tech projectors beaming her image on stage. There were tons of great visual effects too, such as Hatsune Miku’s ability to change her outfit and hair style in real-time on stage (she would often phase in and out in a sparkle of magic), and perfectly synched stage lights with the music. From where I was sitting, I almost had to do a double take because Hatsune Miku looked and moved very much like a real performer. The connection that fans have with Hatsune Miku at her live concerts is so powerful, it’s hard to accurately explain in words. It’s just of those things you need to see for yourself to fully get it. There’s a certain rhythm to the performance, which as someone going for the very first time, I didn’t initially understand. 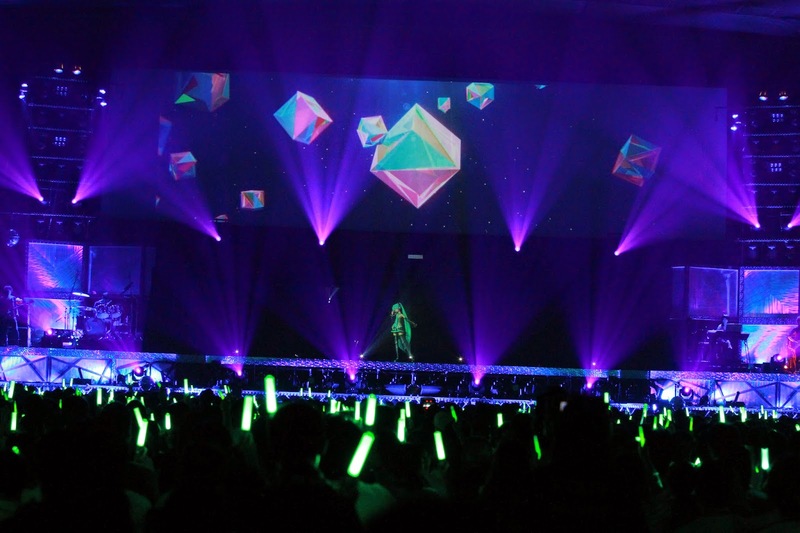 For instance, each song had its own corresponding glowstick colour (usually corresponding to the colour of Miku’s outfit), which could be red, blue, or other colours, and depending on the type of song and tempo, fans would wave their glowsticks in specific ways. Slow songs could make the audience gently sway their glowsticks back-and-forth for example, while a song with an upbeat tempo could have the audience fist pounding rapidly. While I didn’t know in advance what colour or hand motions went with each song, the fact that thousands of people around knew helped me catch on quite fast. In addition to Hatsune Miku, there are five other vocaloid performers that have their own songs in the show, each with their own look, mannerisms and personality. There is Kagamine Rin, and her male counterpart Kagamine Len, Megurine Luka, who wears an elegant slit china dress, MEIKO, who sports a fiery red outfit and a cute bob haircut, and KAITO, a suave male character wearing a long royal blue stole. While I loved watching Hatsune Miku sing, having a whole range of characters perform made the event even more exciting. Not only does the show constantly keep you guessing as to which character will perform on stage next, but they often come out in brand new outfits and hairstyles which adds to the thrill. Every move you see on stage was originally motion-captured in a studio and then later mapped to the 3D CGI models. 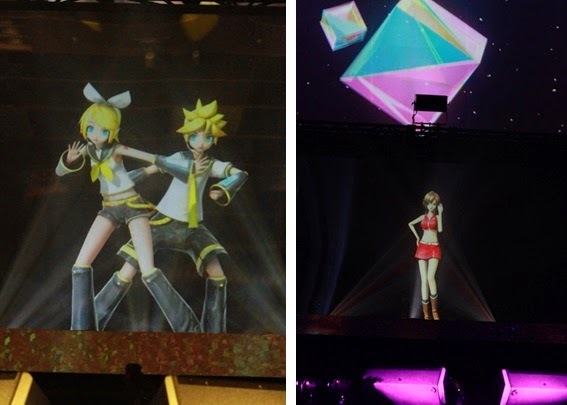 At the concert, I got to see some really cool dance moves, especially Kagamine Len who did some breakdancing and backflips, as well as some nicely choreographed dance routines with his female counterpart Kagamine Rin. Above and beyond the dancing though, it was really impressive to see how the entire production came together, as the show was nothing short of a technical marvel from start to finish. While we’re still waiting for Hatsune Miku to make her big concert debut in Canada, at the Fan Expo screening last year a representative from Crypton Future Media went on stage to say they’re testing the level of interest Canadians have with the vocaloid singer. We did actually get a small tease earlier this year as well when Lady Gaga mentioned on Twitter that Hatsune Miku would be opening her concerts in cities like Winnipeg, Calgary, Edmonton, and Vancouver. But still, I think I speak for a lot of Canadian fans when I say that we’re hoping for a full concert, much like what I saw at the Magical Mirai show in Tokyo. With Hatsune Miku recently making her American television debut with an appearance on the Late Show with David Letterman singing the song “Sharing the World”, and selling out concerts this month in both Los Angeles and New York as part of the Hatsune Miku Expo 2014 tour, it’s clear that the superstar’s popularity in North America is quickly on the rise. Will we see Hatsune Miku in Canada sometime soon? I sure hope so. But in the meantime, don’t be hesitant to travel to the US, or beyond, to see one of Hatsune Miku’s concerts live—it’s an absolutely must-see and unforgettable experience.